Amazon is selling it for $224 today, less than its Prime Day price. Essential might have taken its share of lumps ever since releasing the world’s first notch phone last year, but it has one thing going for it: Android 9 Pie. Just hours after Google pushed out the new update to Pixel phones two weeks ago, Essential followed suit with its own stable release, bringing gesture navigation, Wi-Fi RTT, and of course, camera cutout support to its year-old handset. And it works very well. When I reviewed the phone earlier this year, I found it to the experience to be buggy and just plain unpleasant, but Essential has done excellent job with updating its OS, and Pie is as stable and smooth on the Essential Phone as it is on the Pixels. 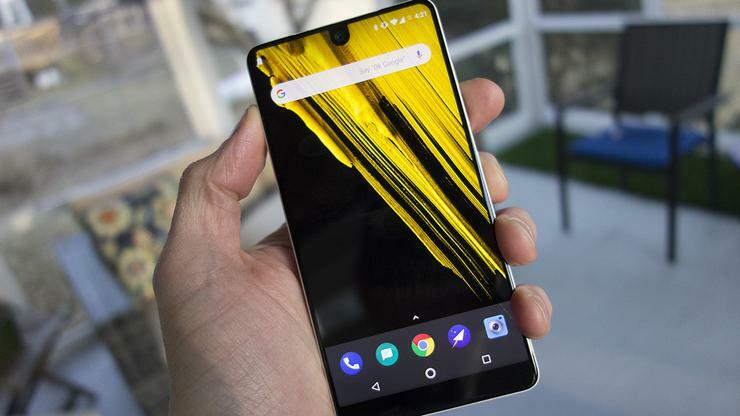 So if you want to give Android 9 a taste, you can get the Essential Phone for just $224Remove non-product link today—half off its current list price and $25 less than it was on Prime Day. The Essential Phone might have last year’s processor and a relatively small 3040mAh battery, but there’s no denying its stunning good looks. With a titanium-and-ceramic body and a very small camera notch, Essential Phone is still very much a flagship phone. You’ll also get 128GB of internal storage and a dual camera with portrait mode and 4K video recording. All that for less than the price of the 32GB Moto G6Remove non-product link. To get this price, you’ll need to buy the “Halo Gray” color, which is only a few shades lighter than black. The phone is unlocked and will work on any carrier, and might arrive running Android Nougat. But fear not, your Pie update is just a quick trip to the System settings away.